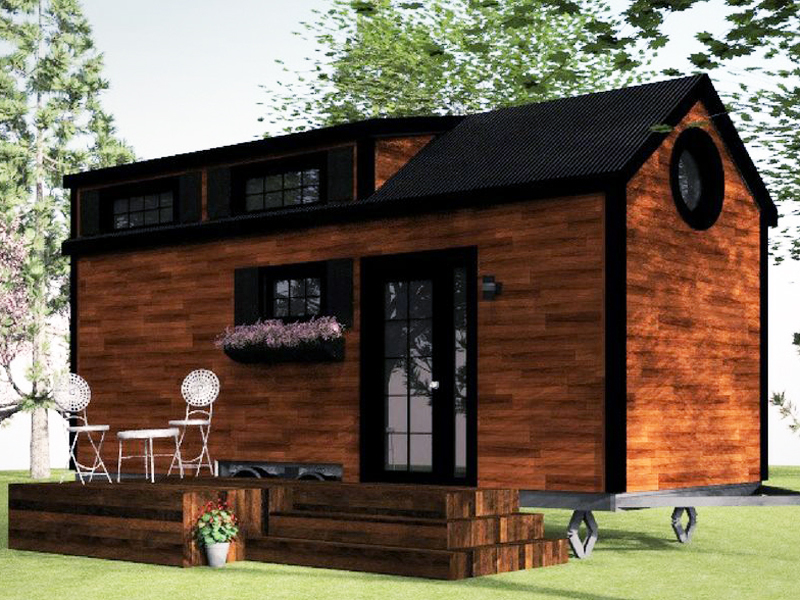 The backyard is full of possibilities when planning living spaces, both for the cottage and for your main home. 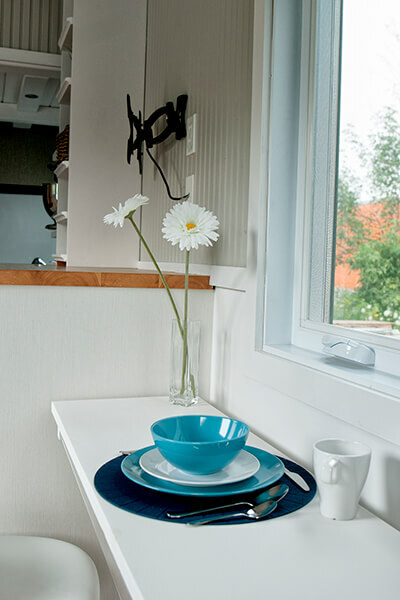 The living spaces of Lumbec go beyond the simple structure. 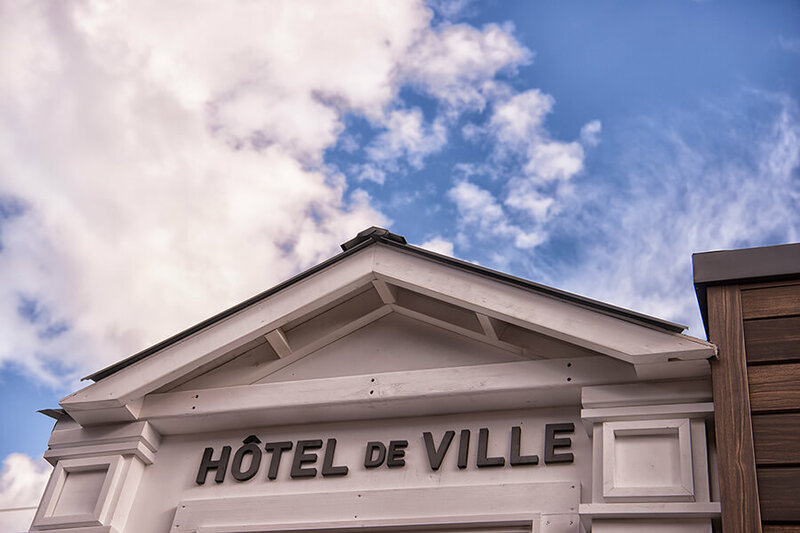 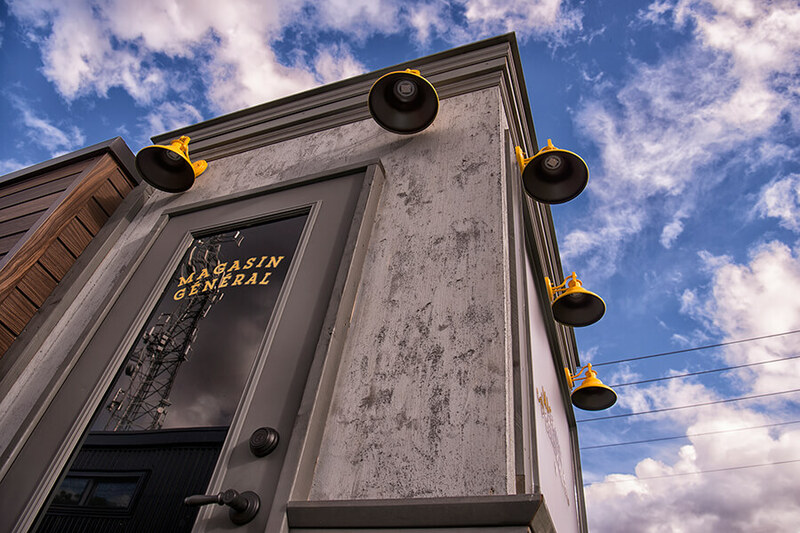 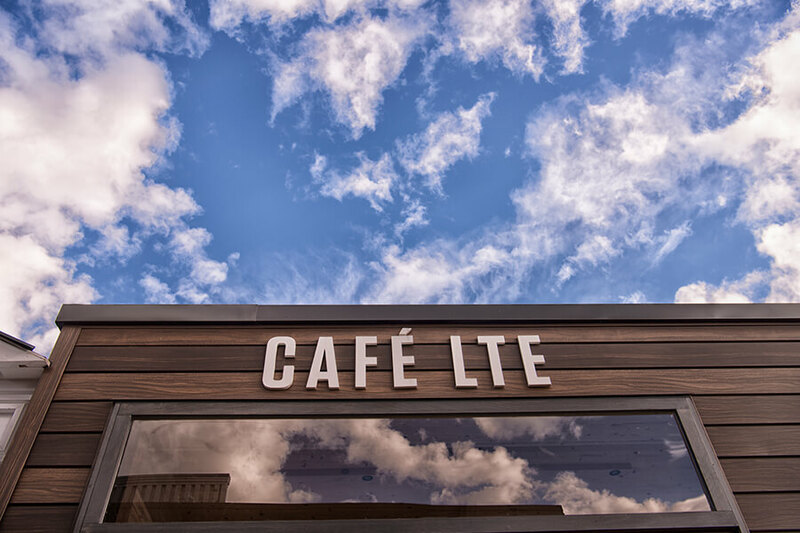 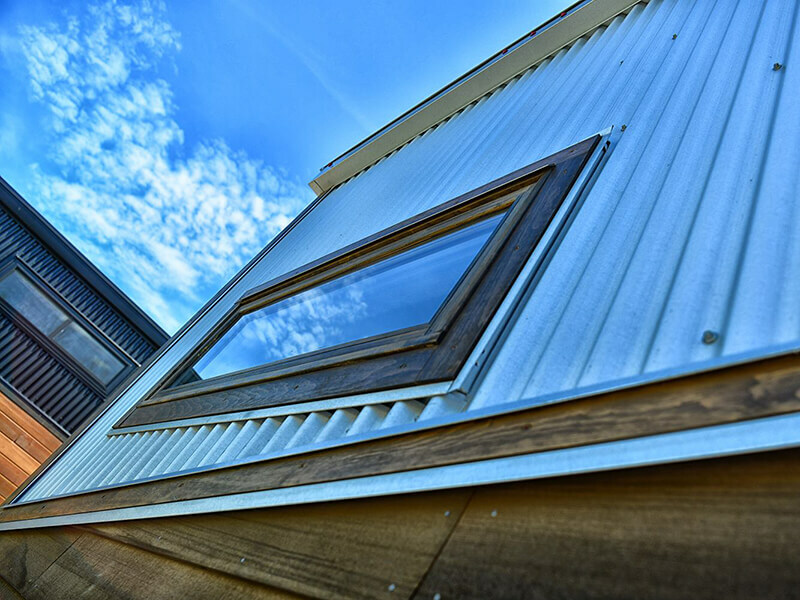 Our buildings allow you to live experiences and enjoy life. 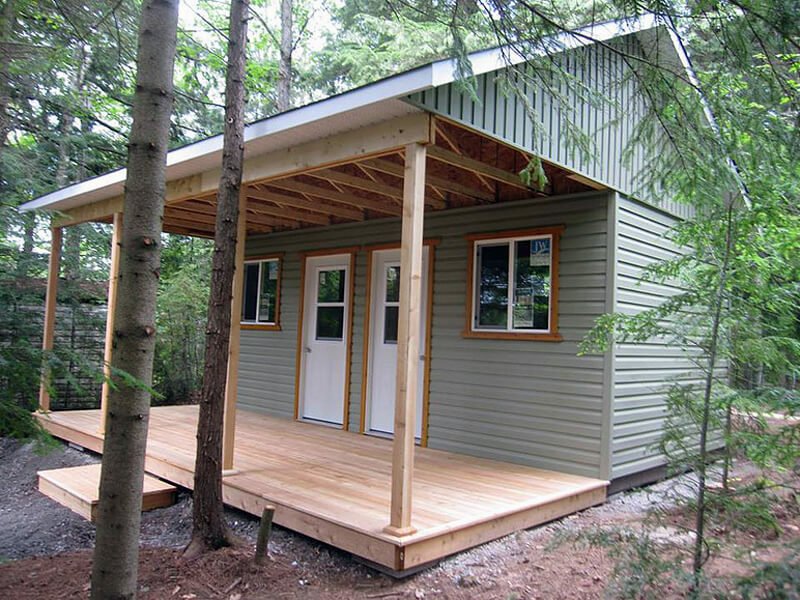 These spaces come in the form of tiny houses, teleworking office & garden, dream wokshop or guest cottage. 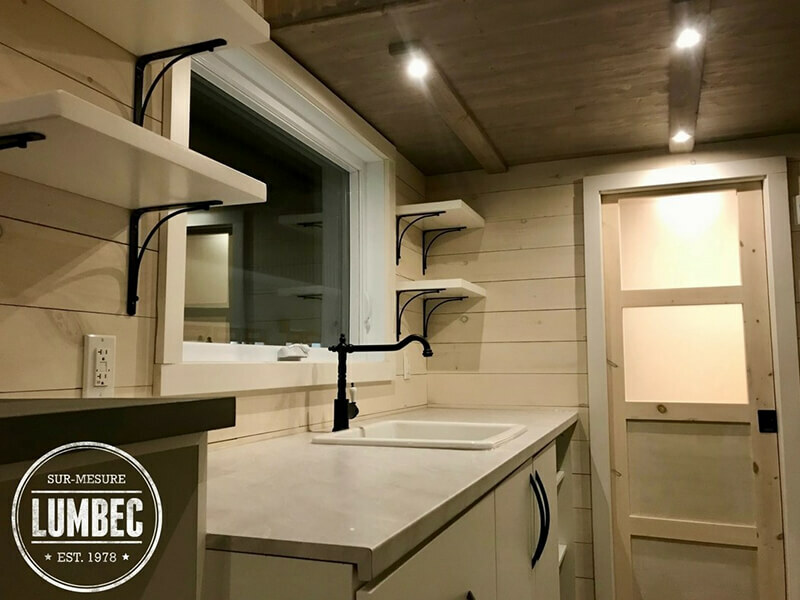 In addition, the experience gained in recent years has made our team your ideal partner for the construction of a residential house (coach house). 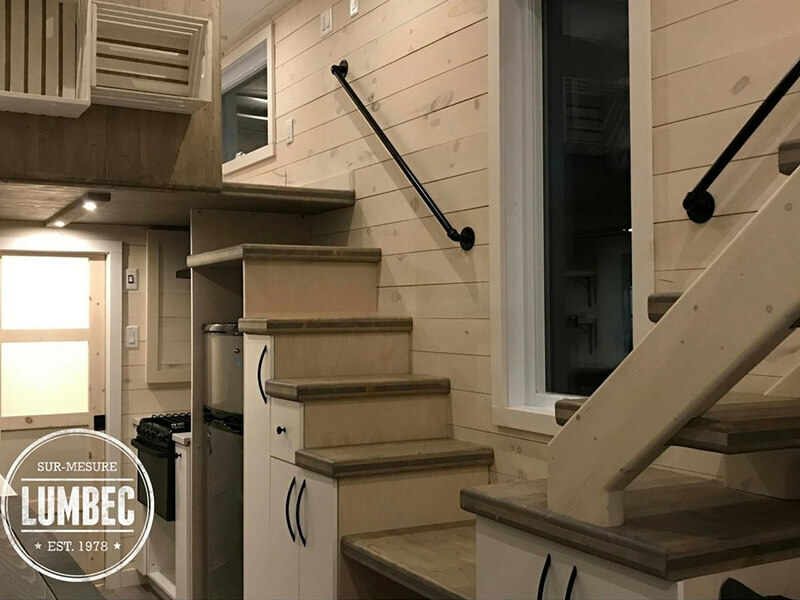 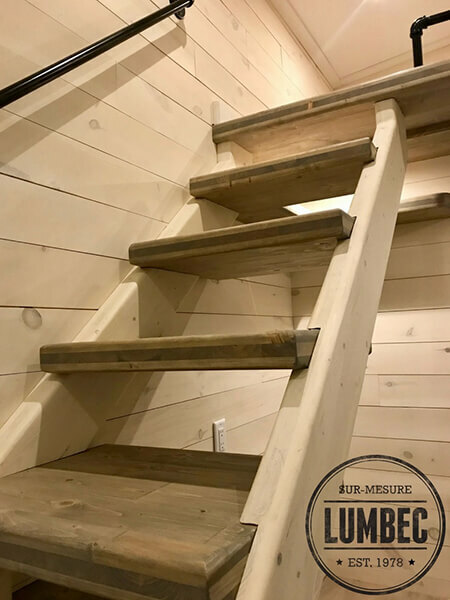 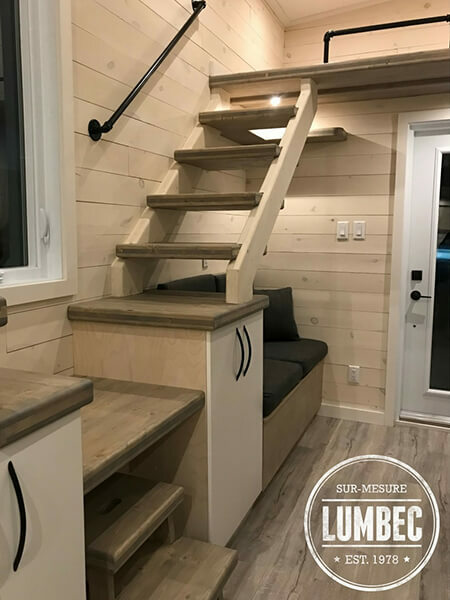 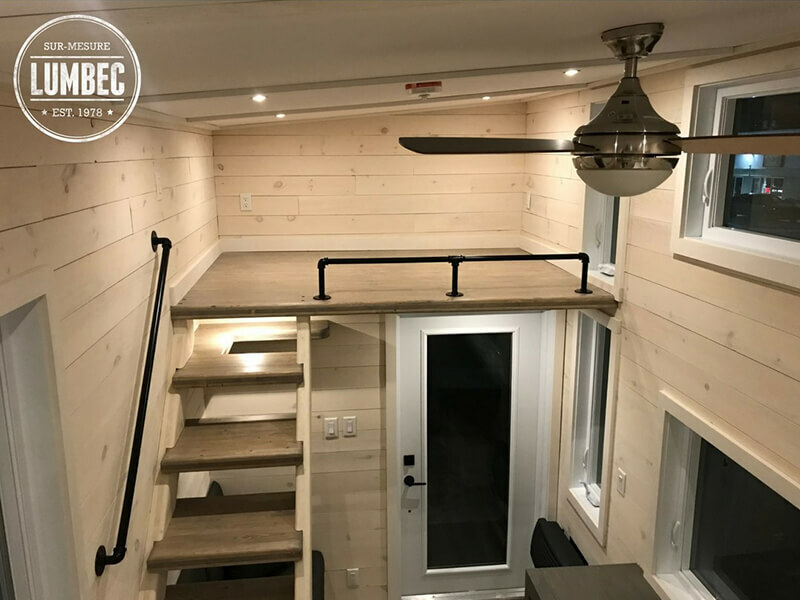 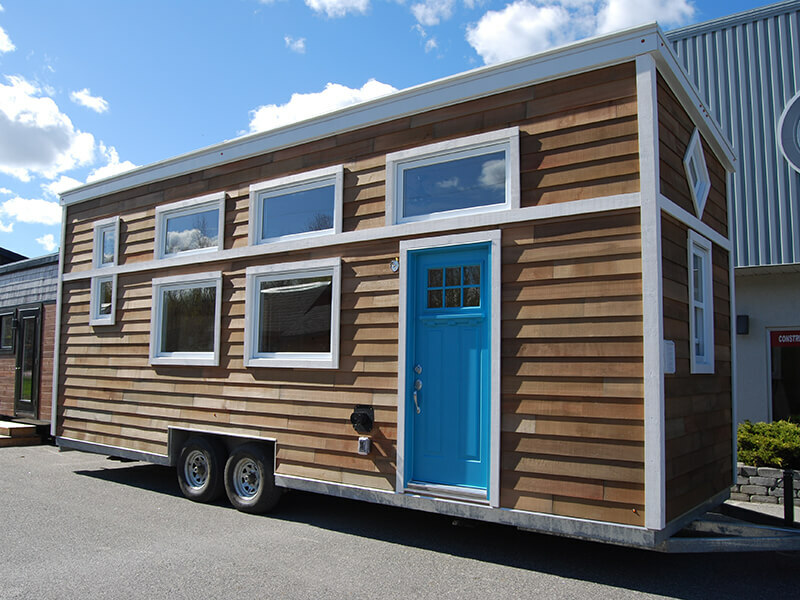 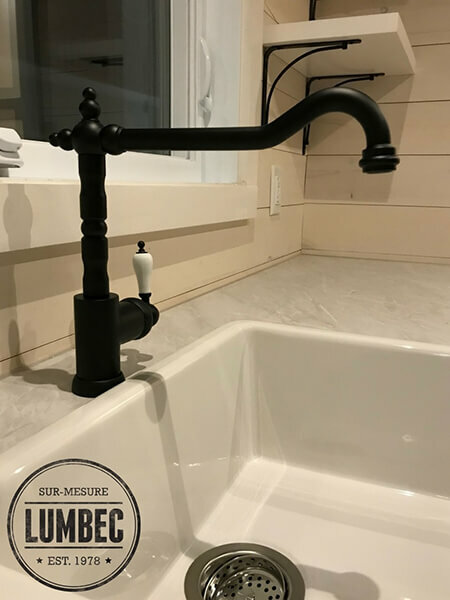 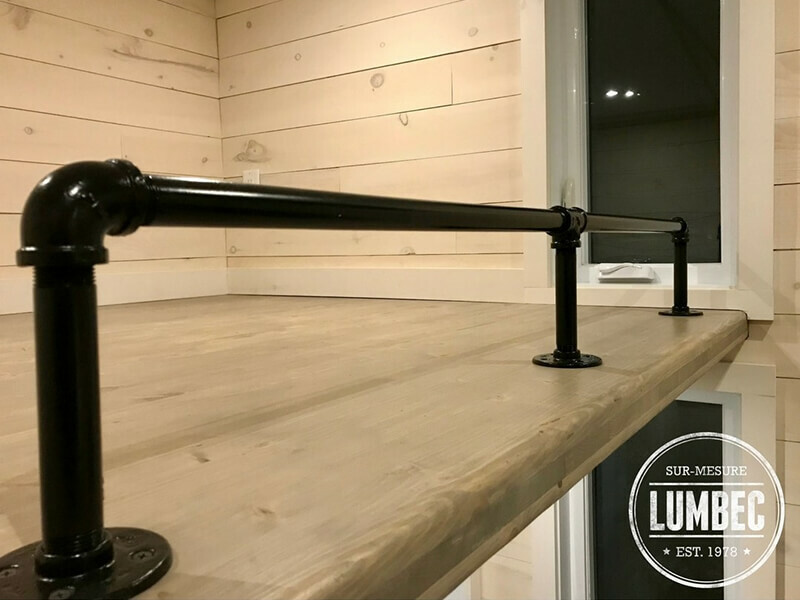 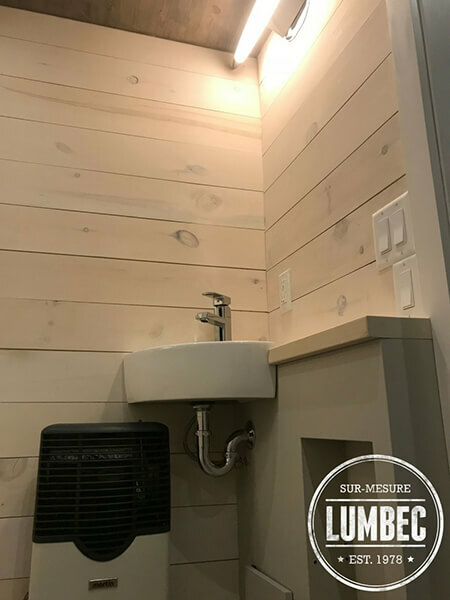 The mini-home, commonly called “tiny house” is the perfect example of a living space designed by Lumbec. 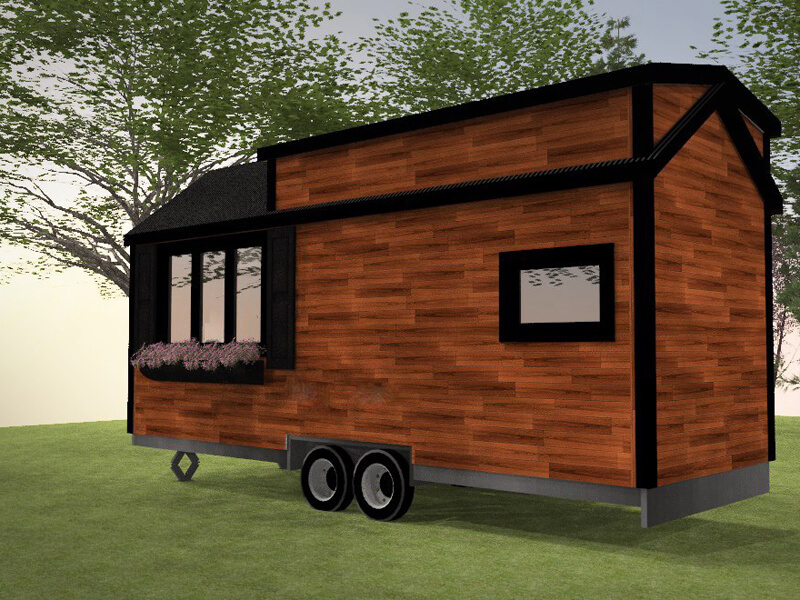 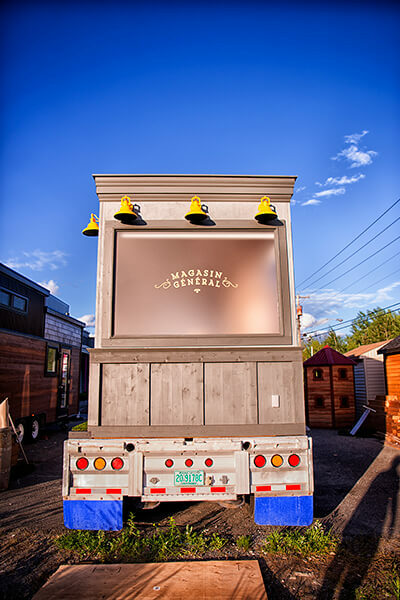 Built on a platform similar to a trailer, it is mobile and has the capacity to be completely independent. 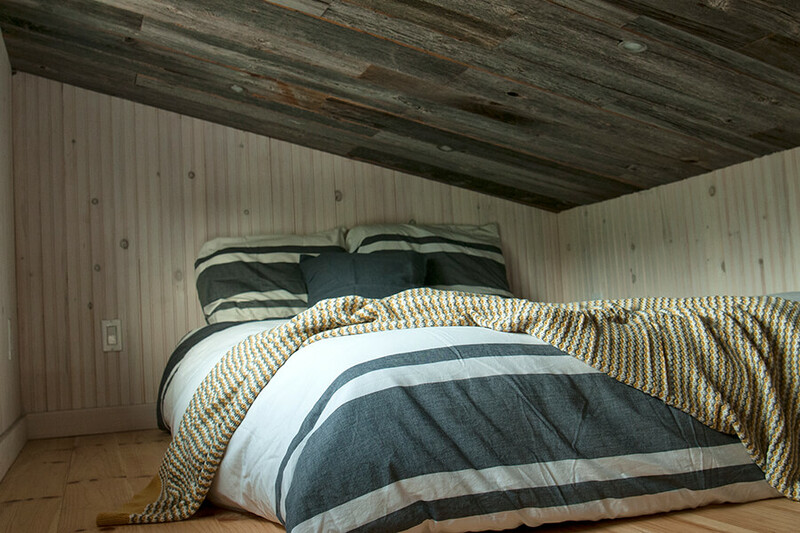 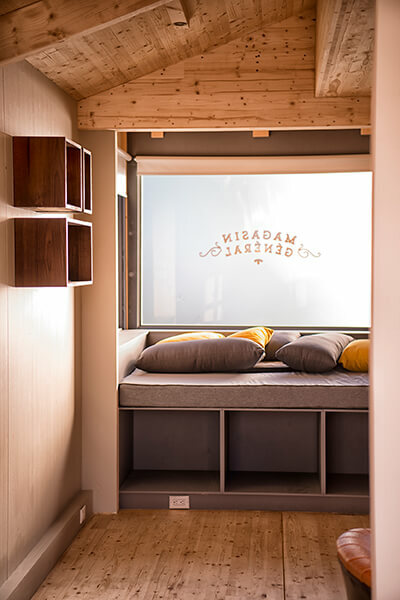 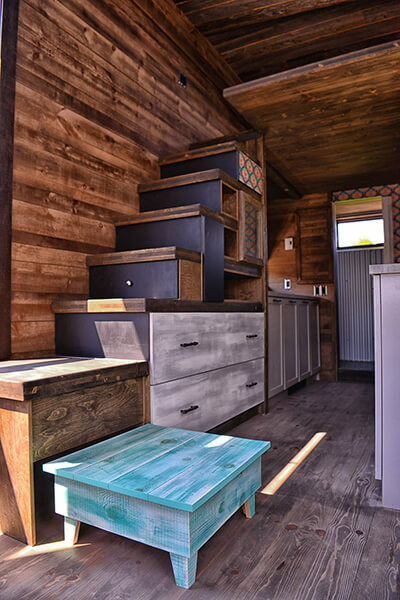 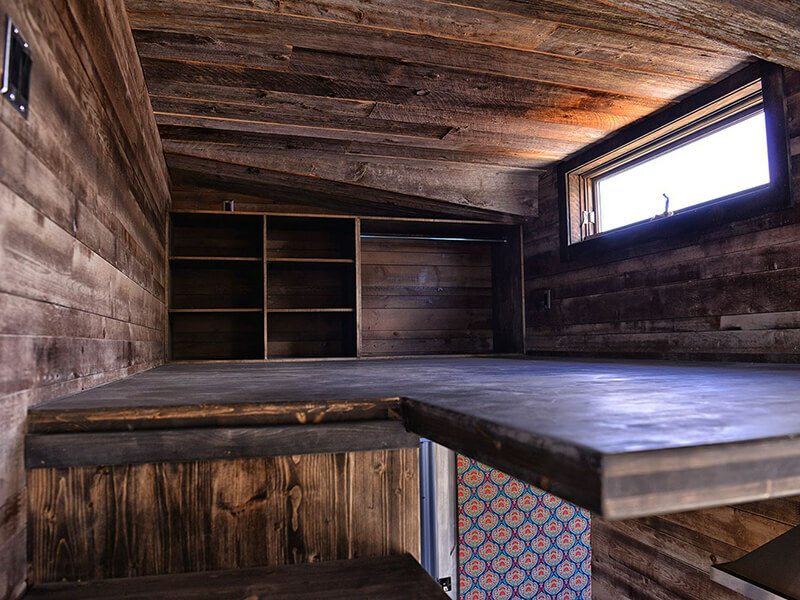 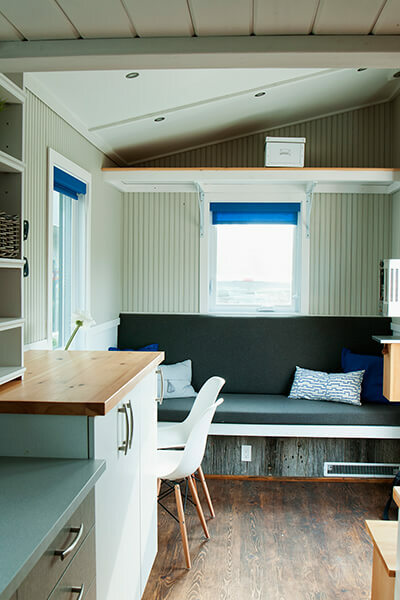 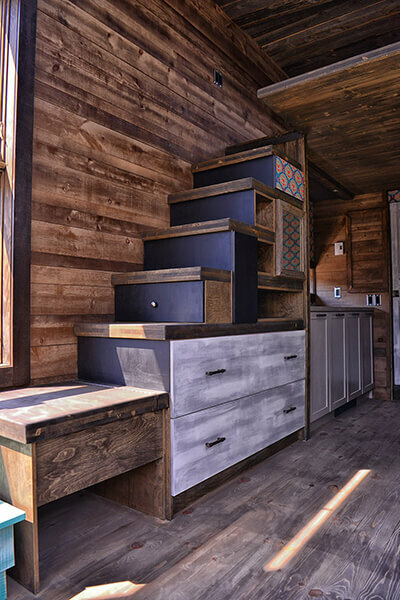 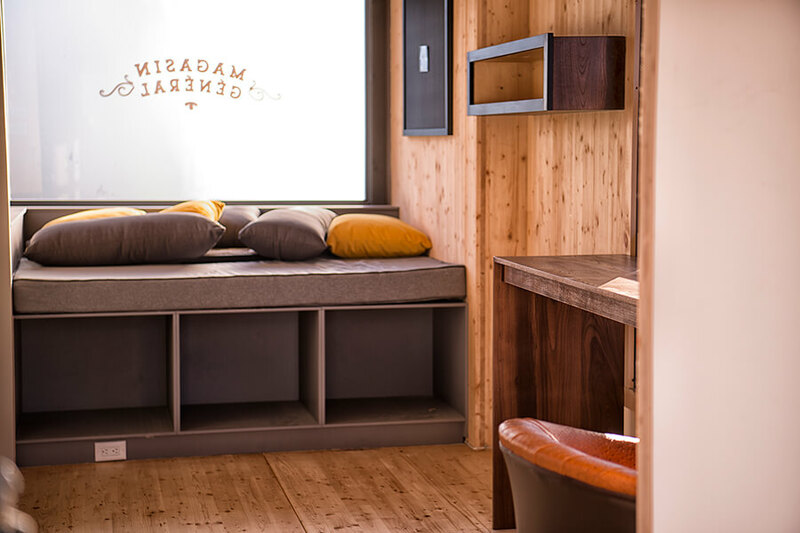 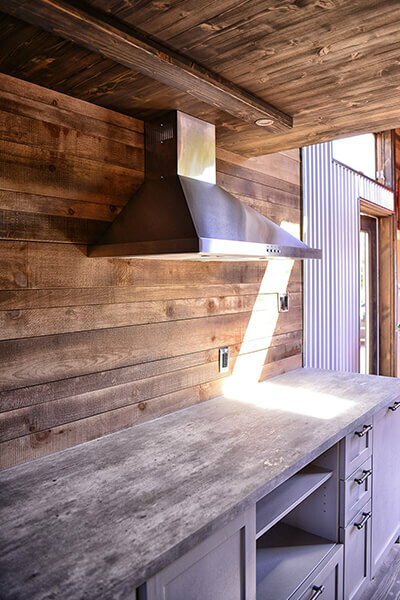 The design and the planning of the floor layout of a tiny-house are crucial and essential steps in building your next home. 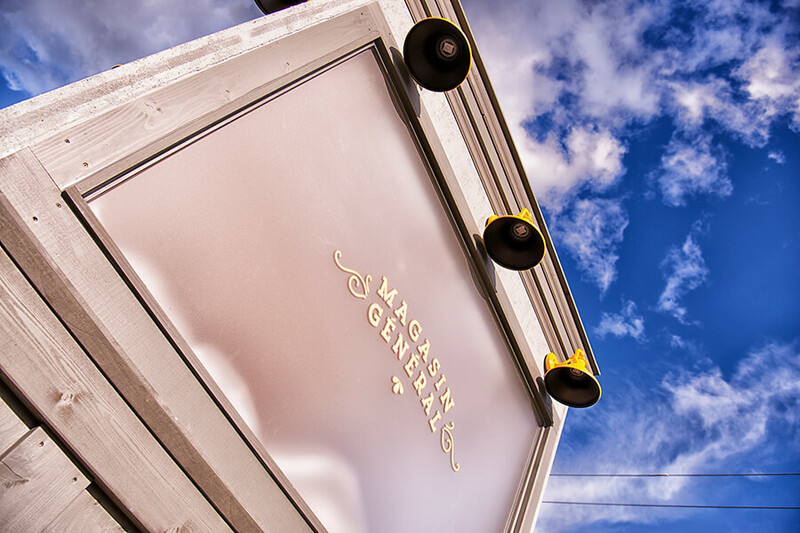 Our improved operations provide a unique experience for our customers. 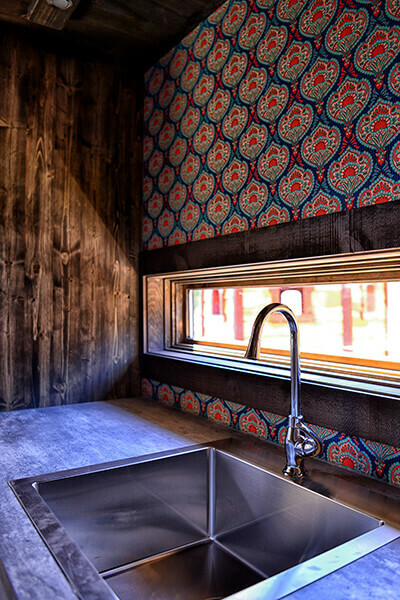 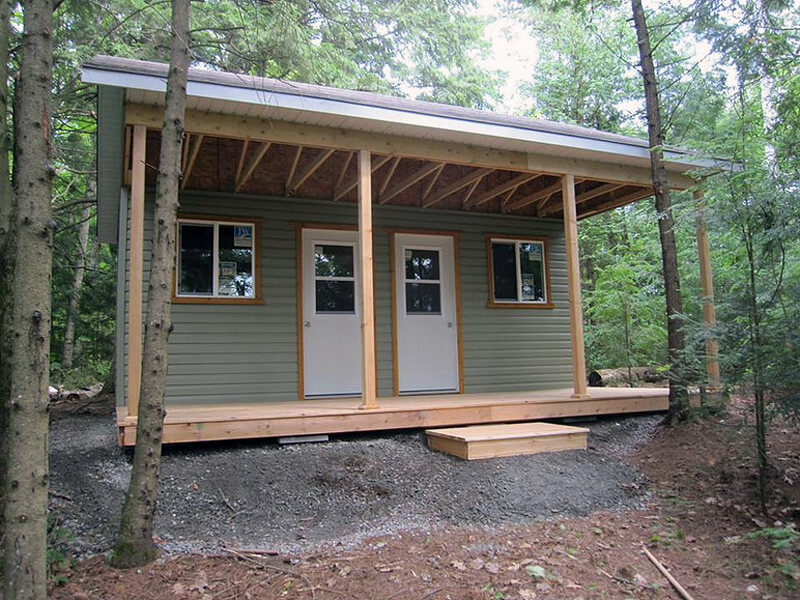 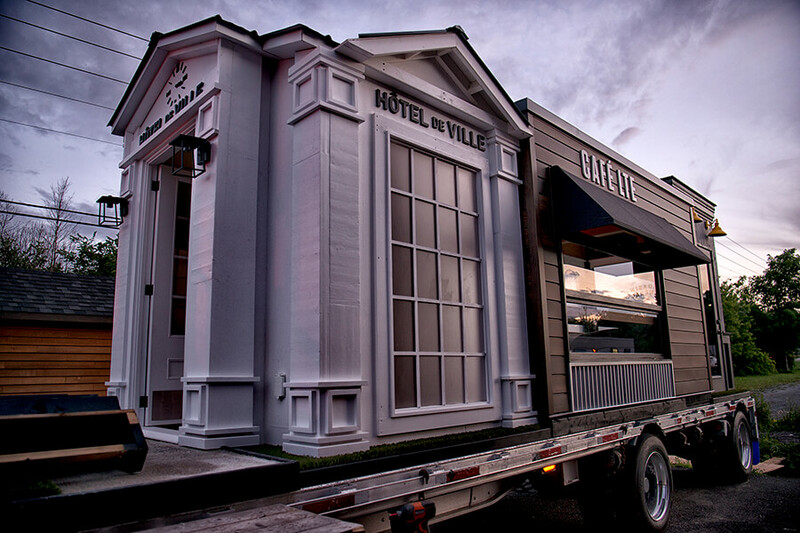 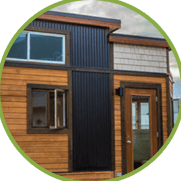 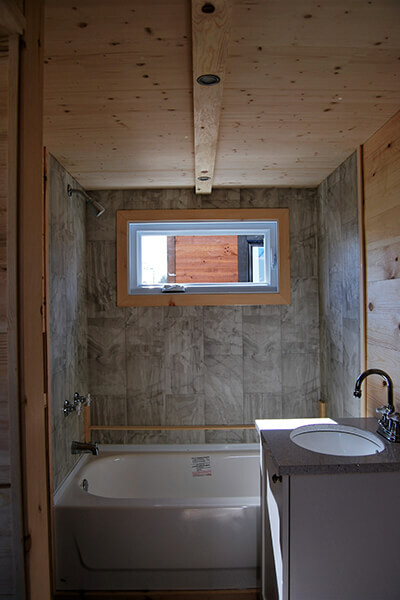 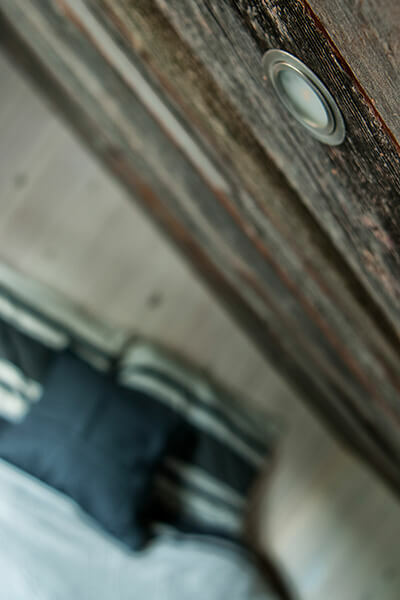 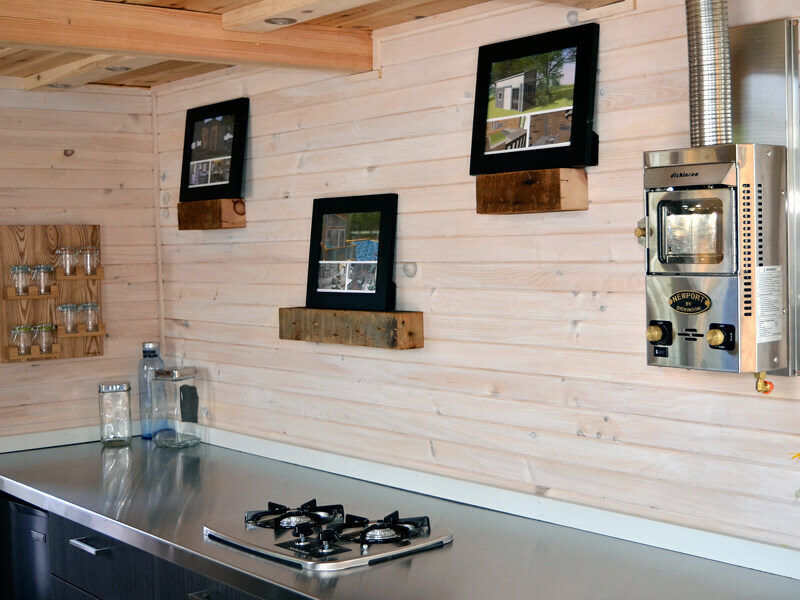 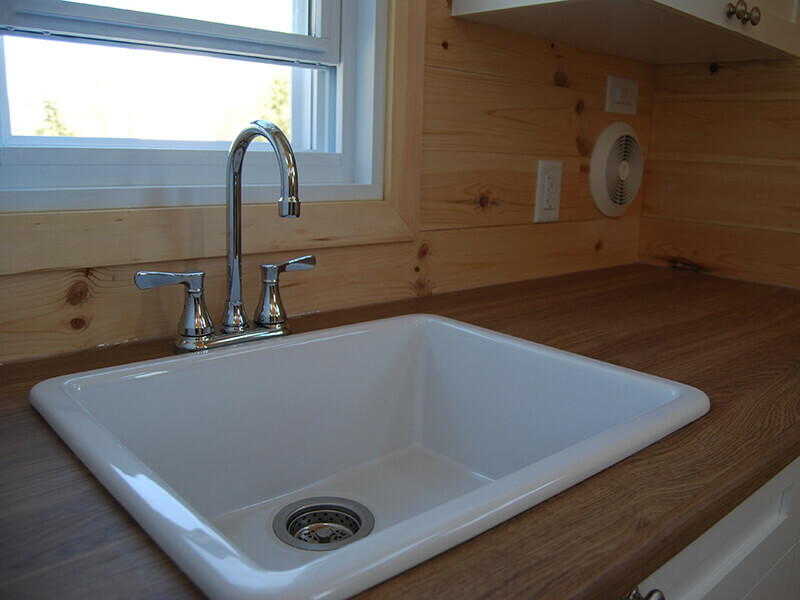 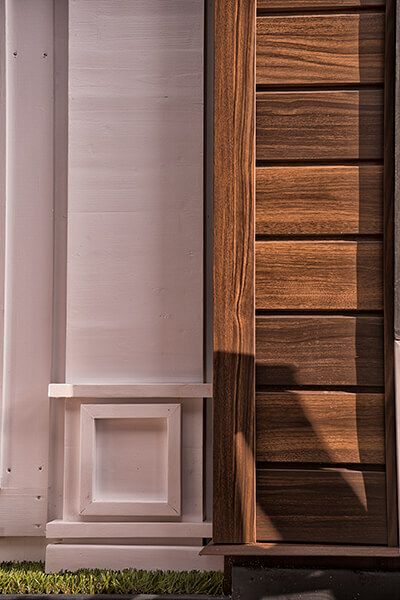 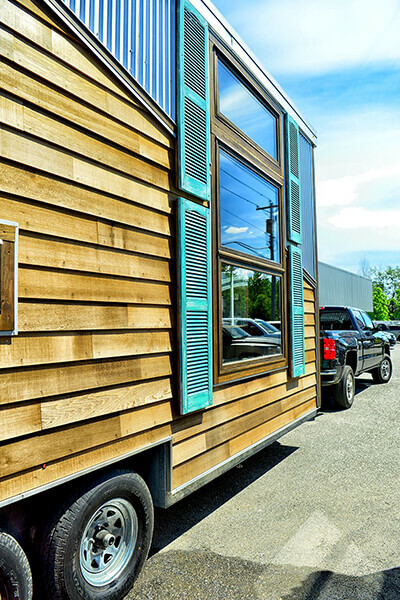 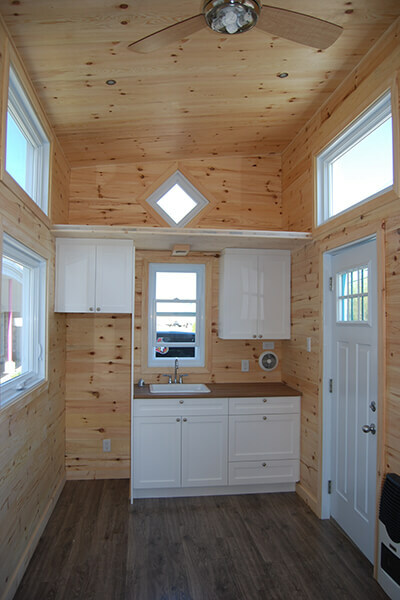 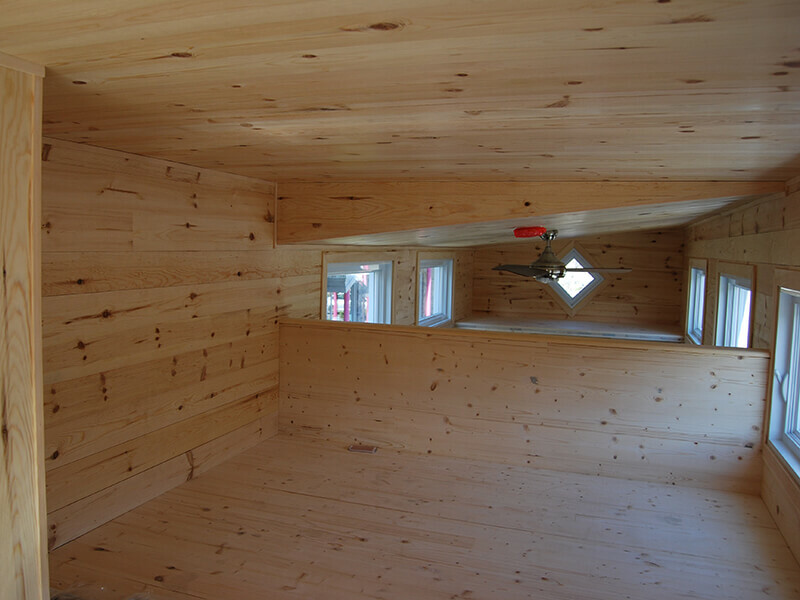 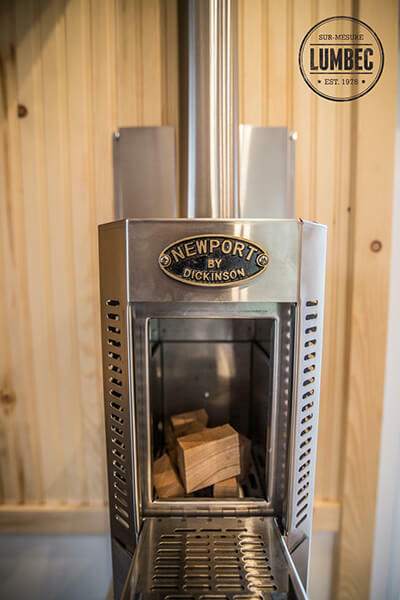 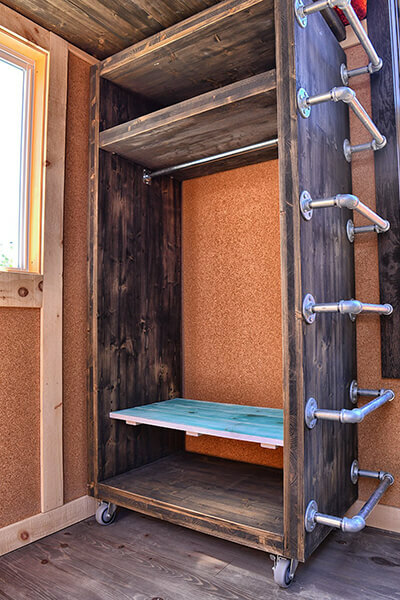 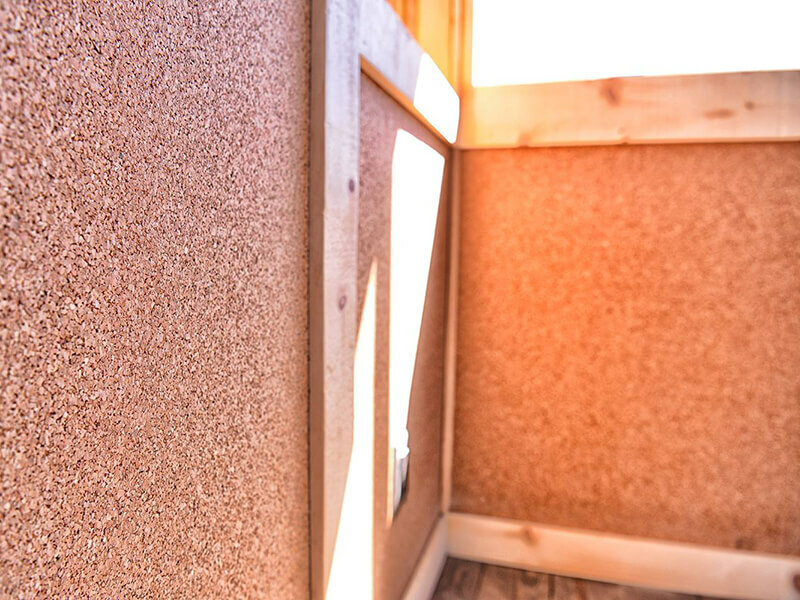 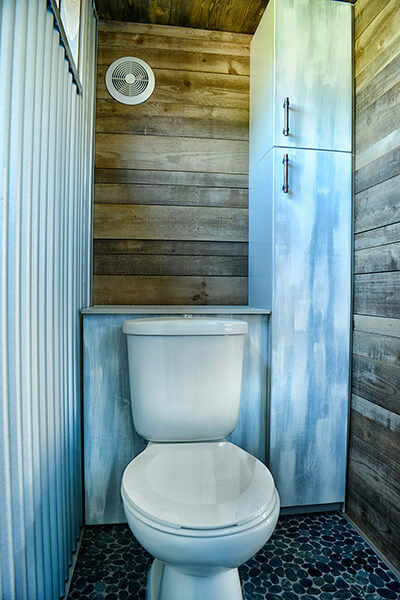 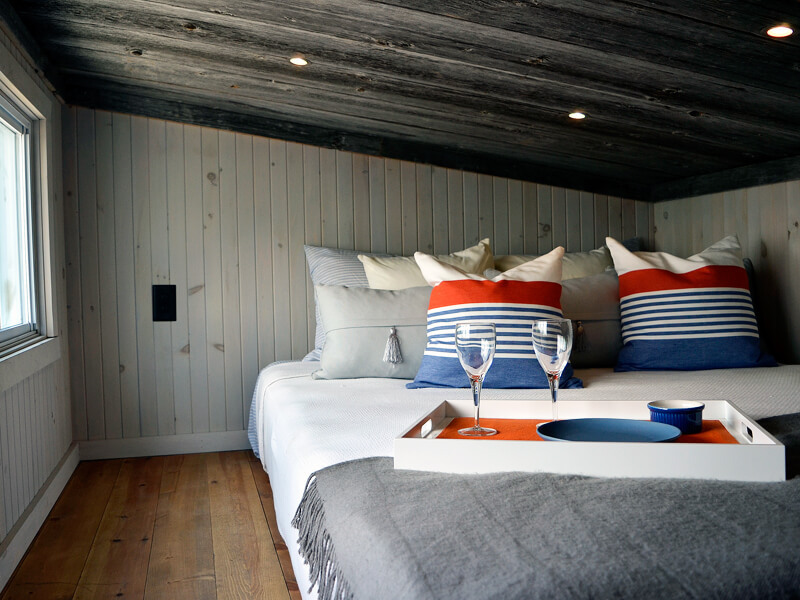 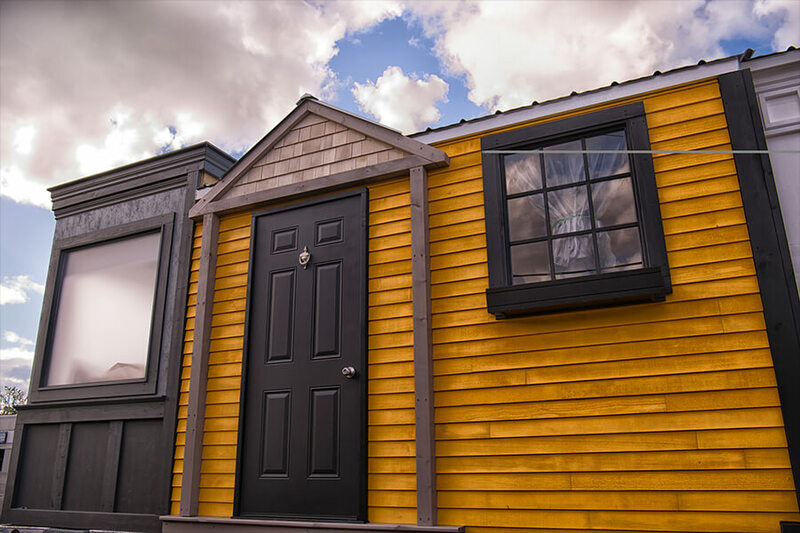 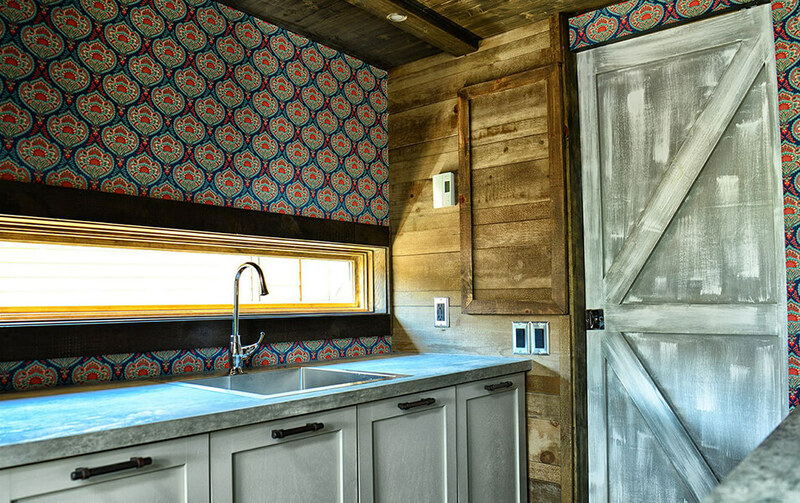 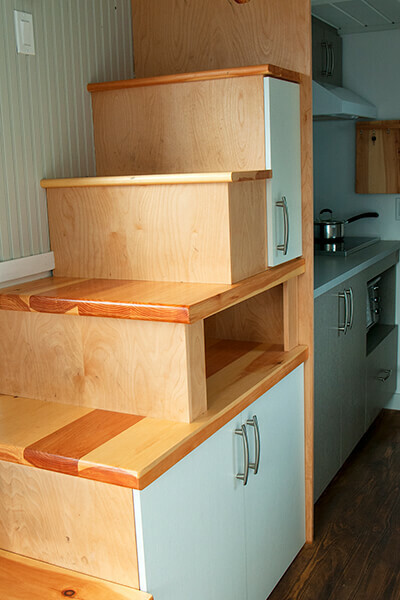 Our tiny-houses are assembled from premium materials by our experienced workforce. 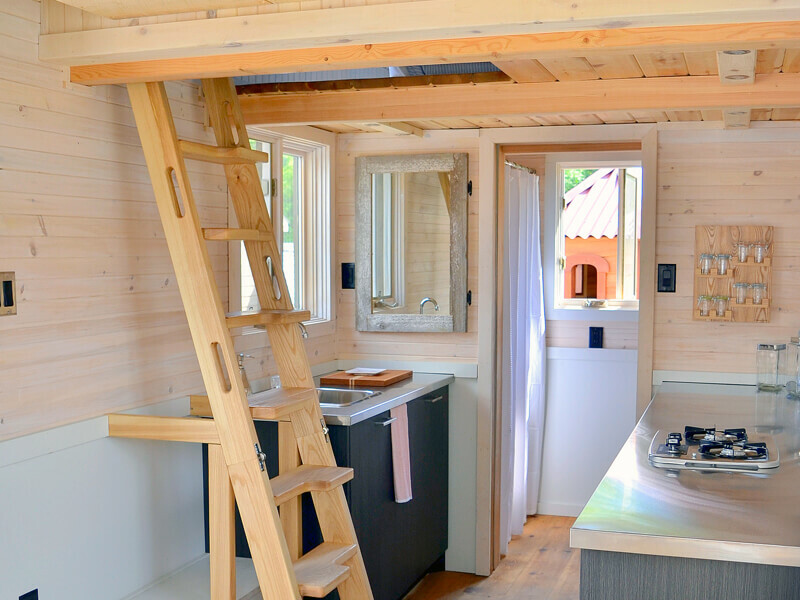 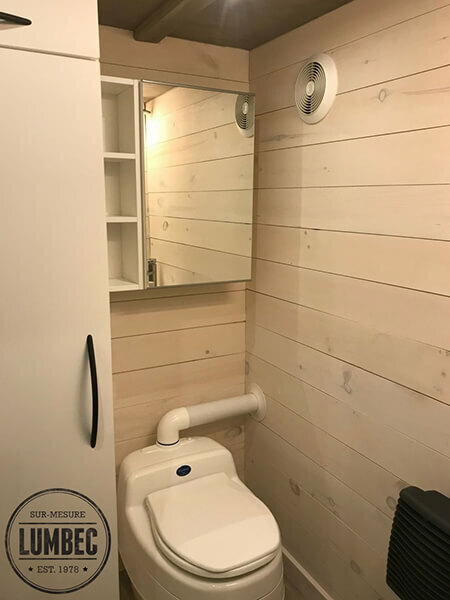 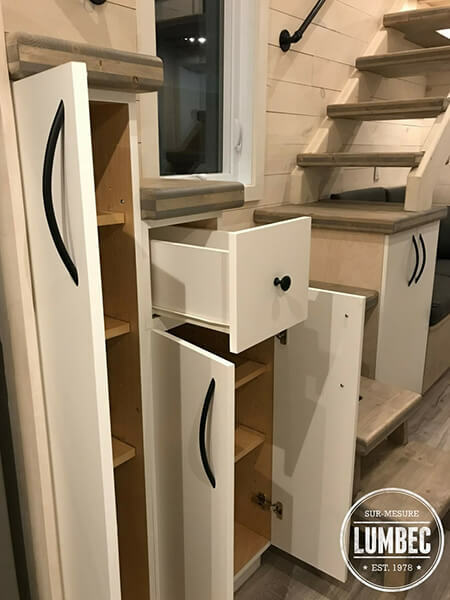 The dimensions of our micro-homes vary between 200 and 350 square feet and can be used as a principal residence or a cottage. 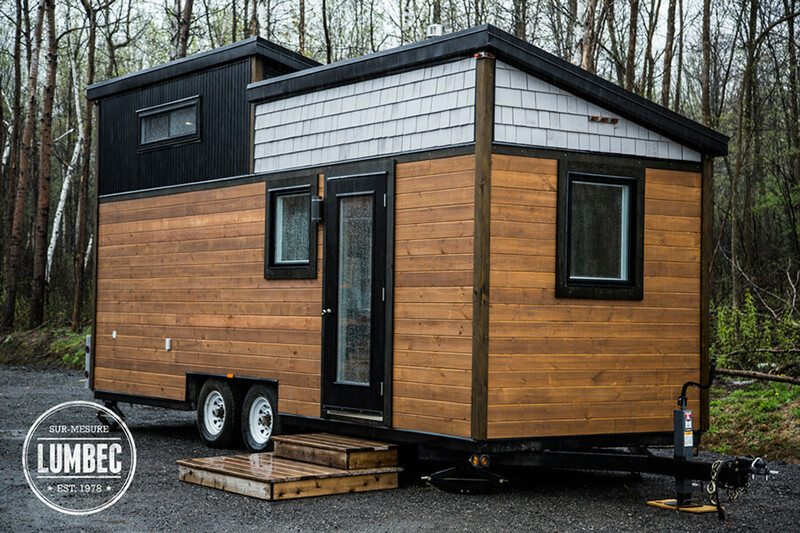 The tiny-homes movement is a trend that aims to re-evaluate the relationship with space and to reduce its footprint. 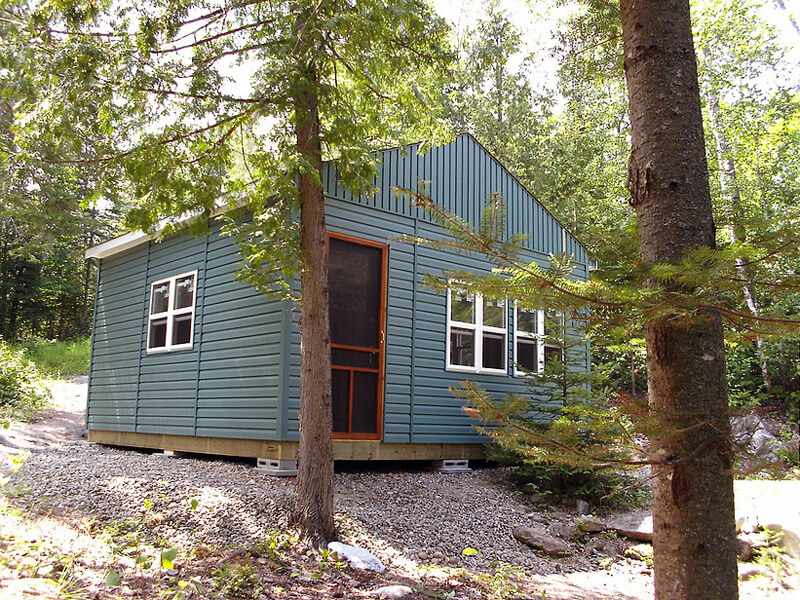 When the cottage gets too small for the family, building a guest cottage will prove to be a wise choice. 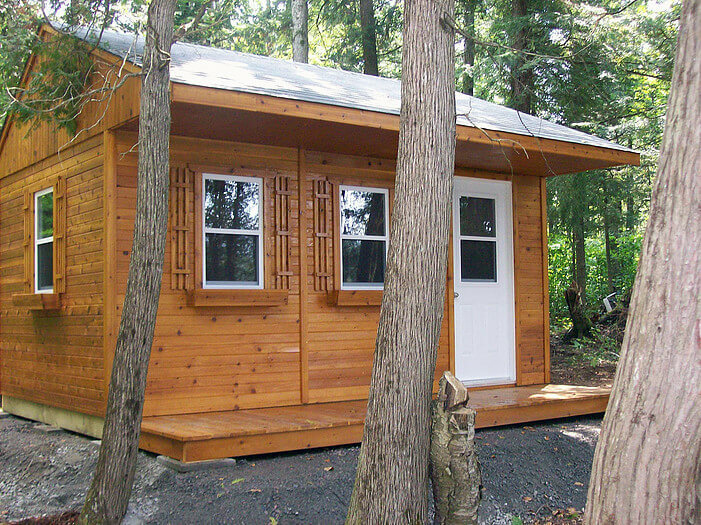 Located near the main building, the guest cottage comfortably seats up to 4 adults in a 108 square foot space. 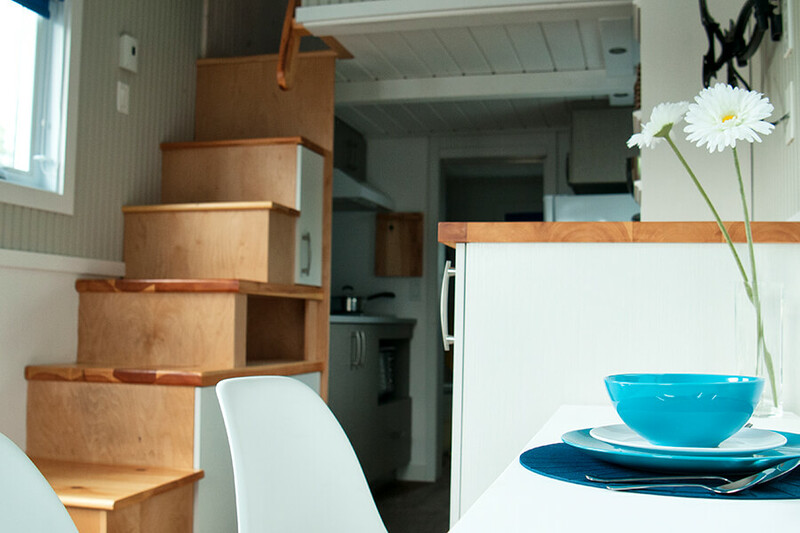 Several options are available, the guest cottage is less expensive than an extension! 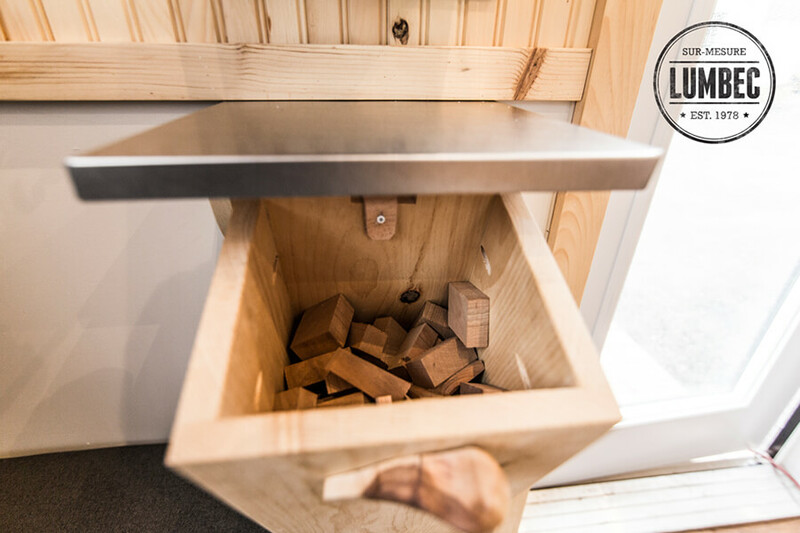 It’s even an open secret that most of our customers use it more than their guests! 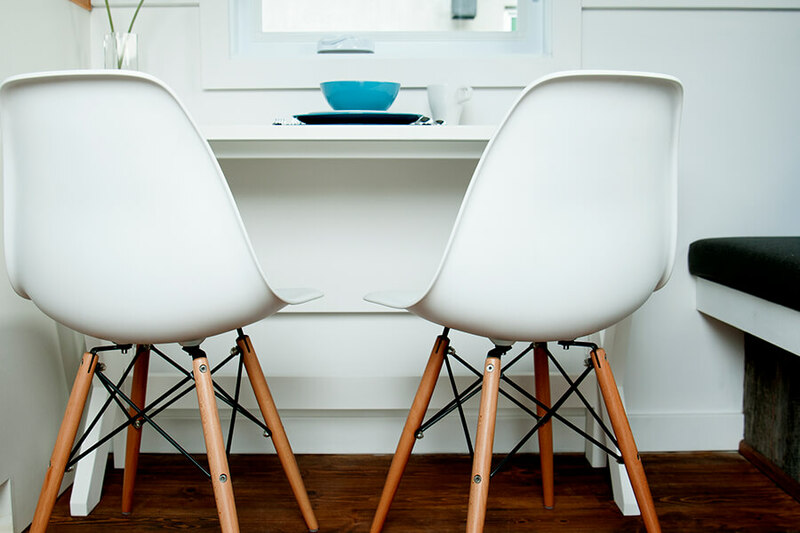 Telework is becoming more and more popular. 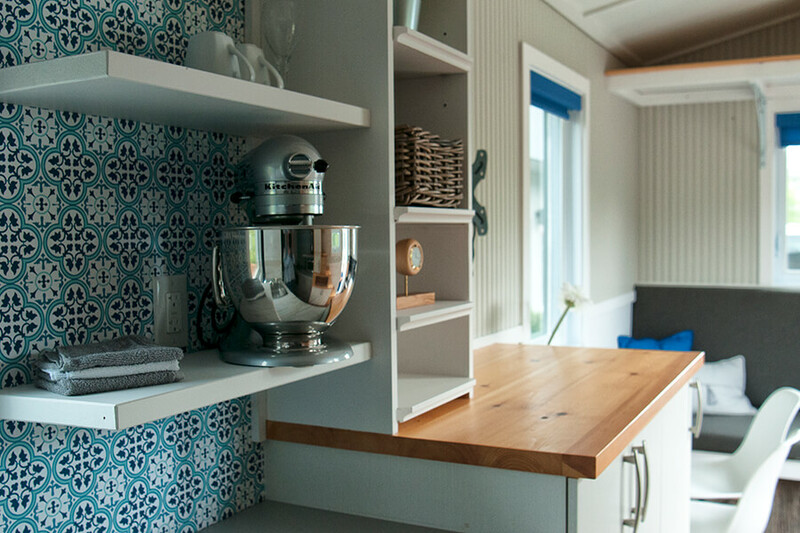 Interested in this movement but the idea of ​​working from home scares you? 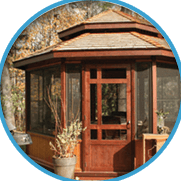 The construction of a garden office allows you to separate your professional life from your personal life. 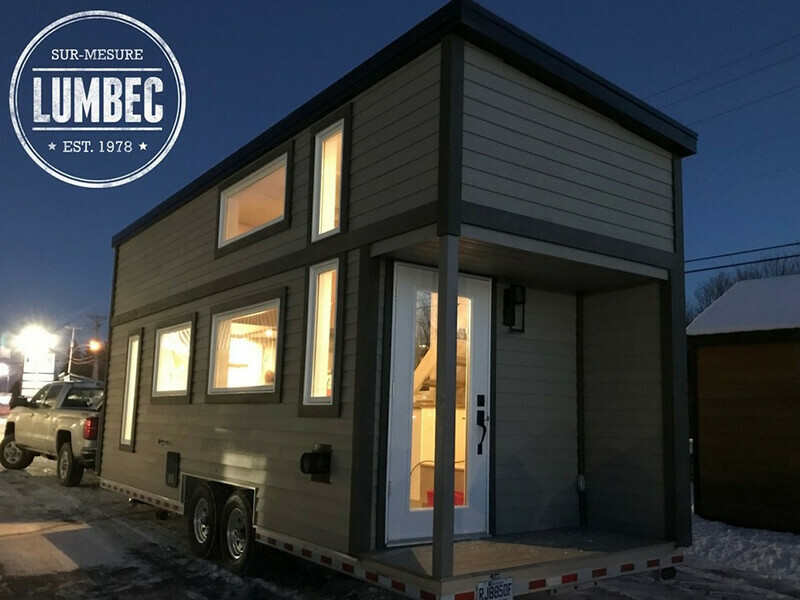 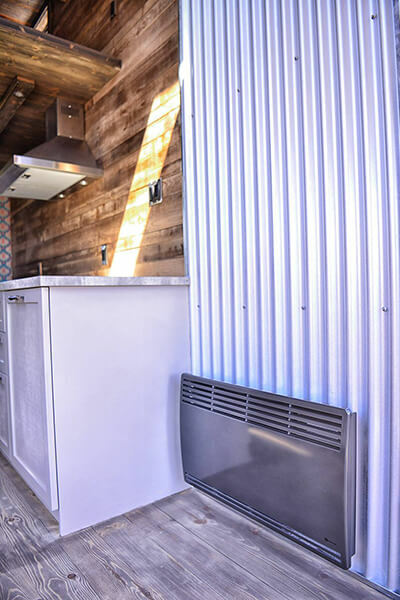 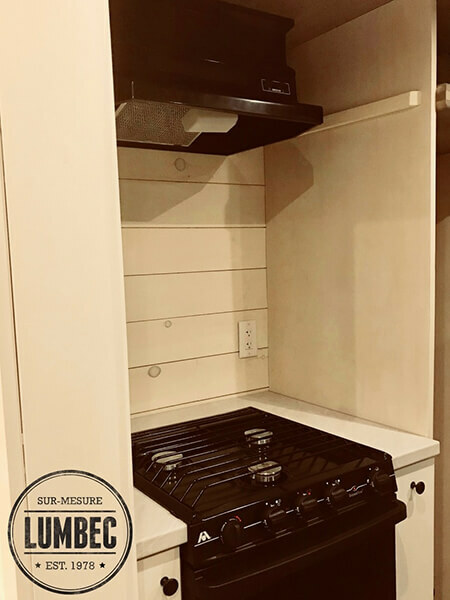 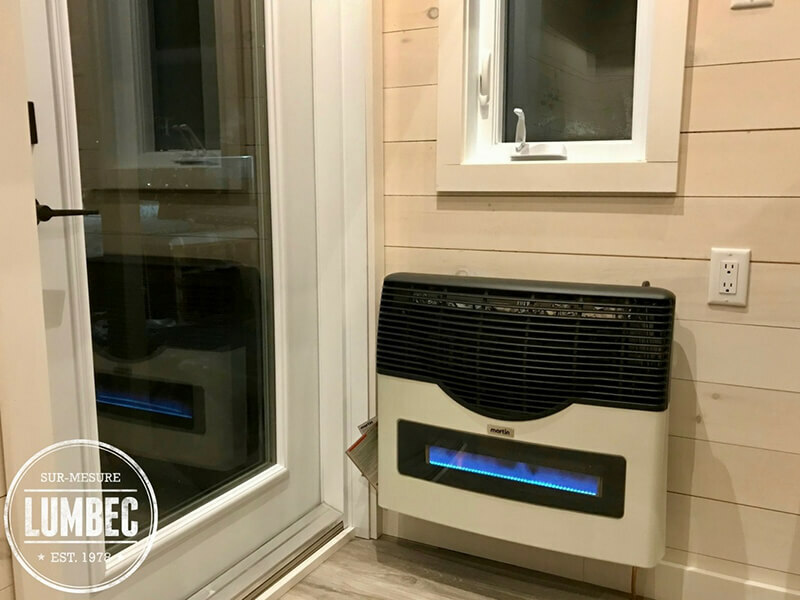 Being able to match or to complement the main building, this second unit offers you an alternative from waiting in the rush hour to maximizing your productivity, and all of that from home. 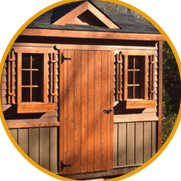 Whether it’s to make space in your main garage or simply to have the luxury of working freely, the backyard workshop is a great option. 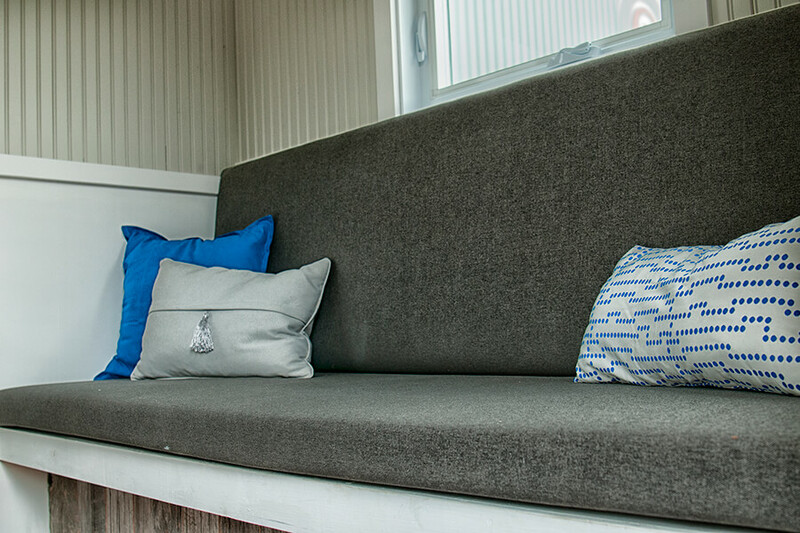 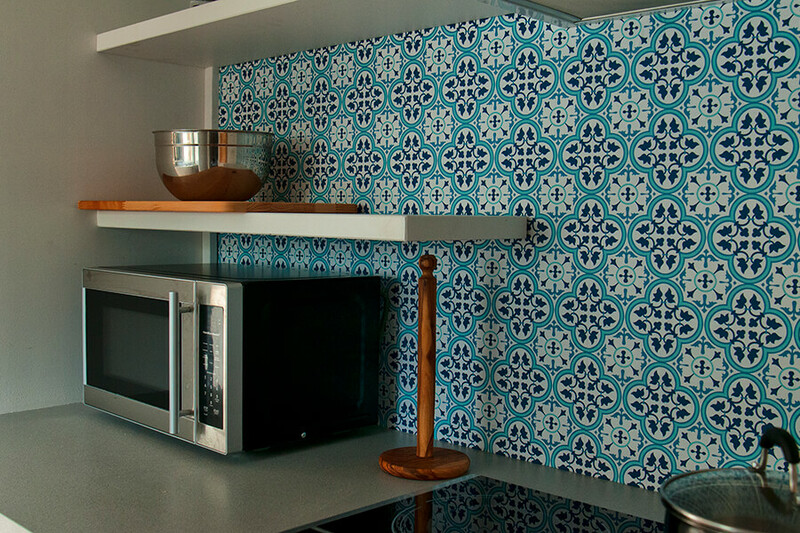 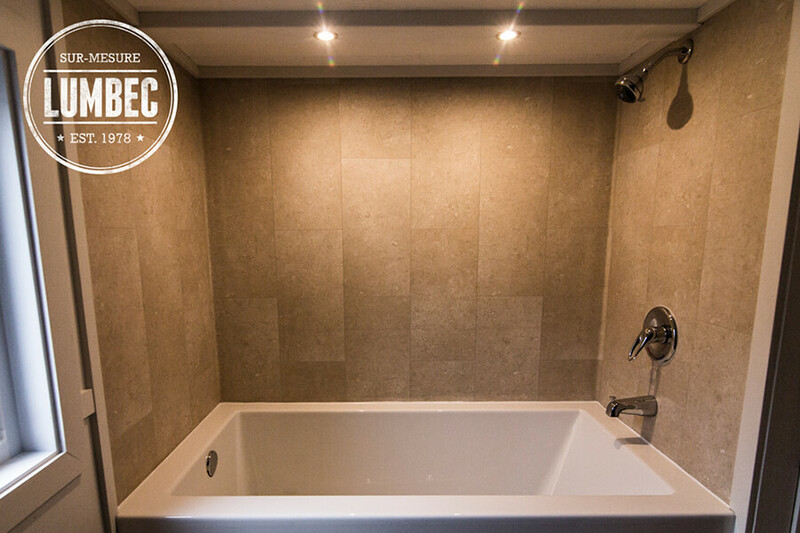 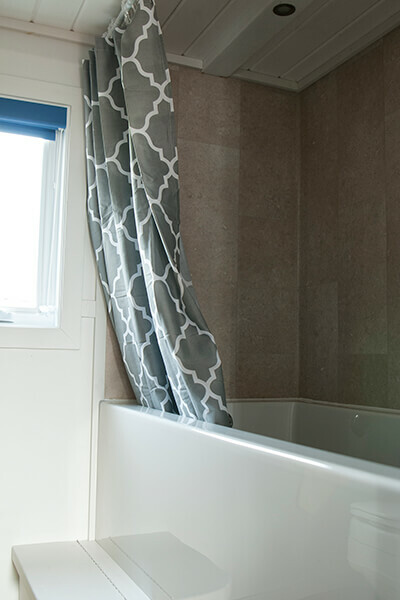 We can fully personalize your project to your tastes or make it as your main residence. 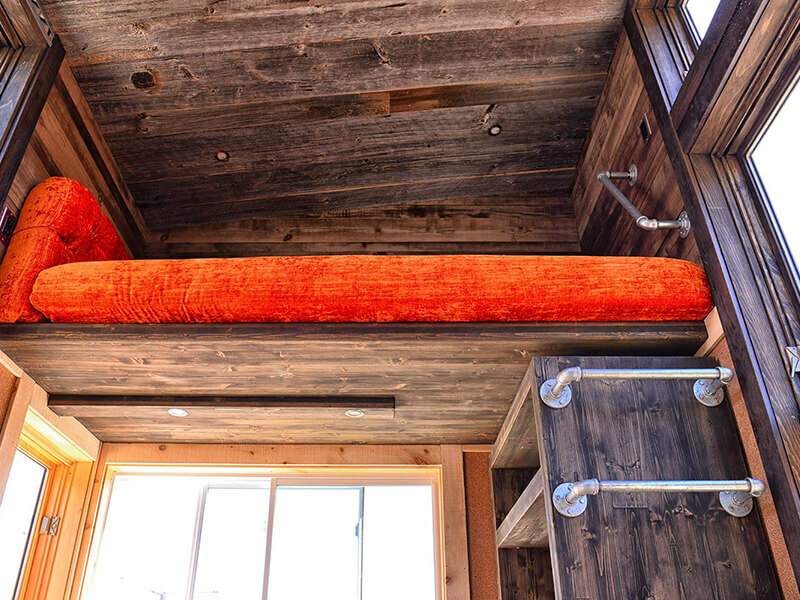 The limit: your imagination. 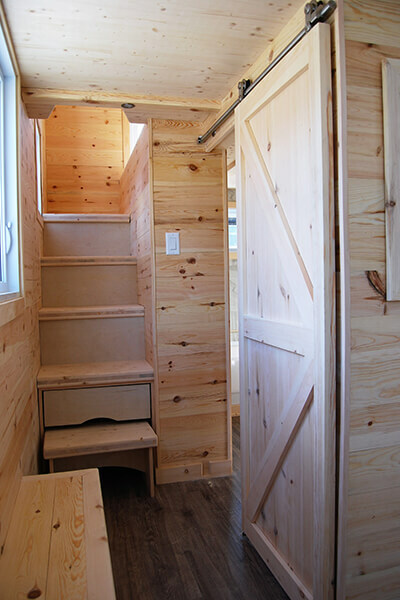 The female version also called “she shed” can take several functions. 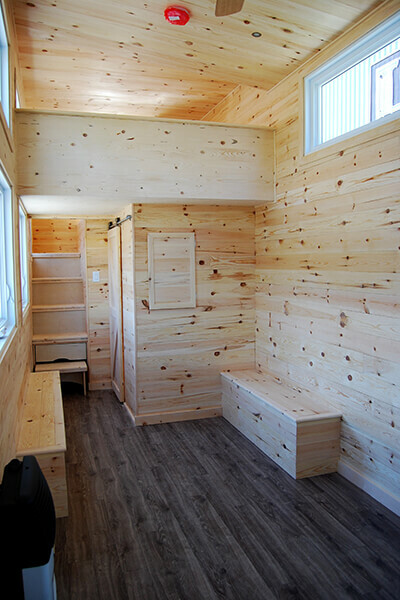 Sometimes yoga studio, garden center or simply a place of relaxation. 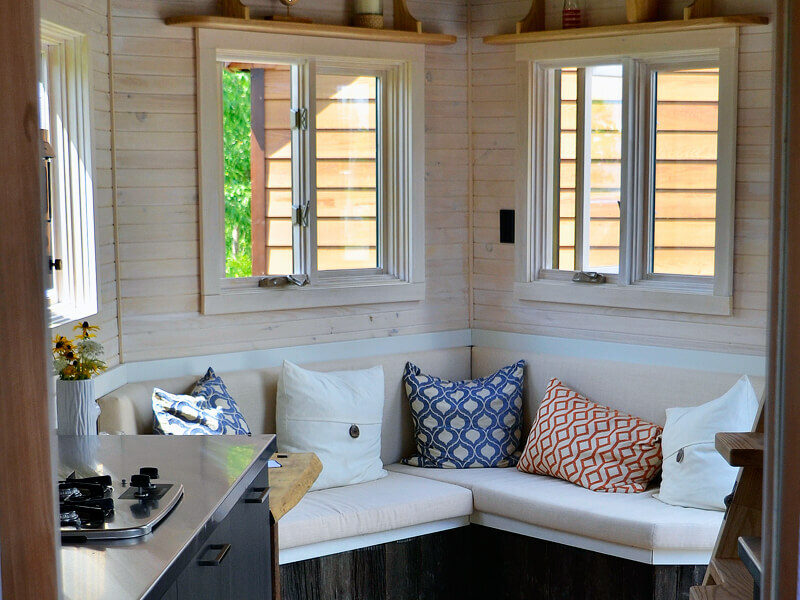 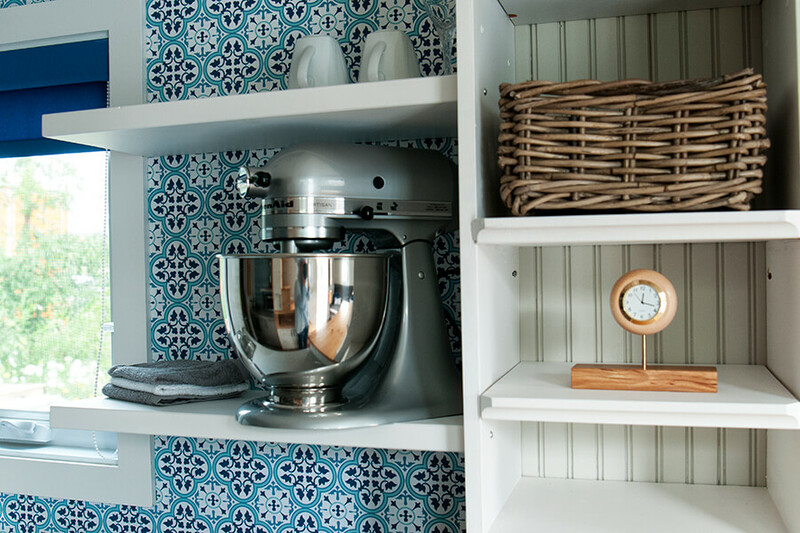 The she shed has a delicate, soft and harmonious look.